Researchers have discovered a new group of antibiotics that may provide relief to people affected by antibiotic resistance. The new antibiotics target the bacteria Staphylococcus aureus, or staph, and the antibiotic resistant strains commonly known as MRSA. The research was published in the journal Medicinal Chemistry Communications. 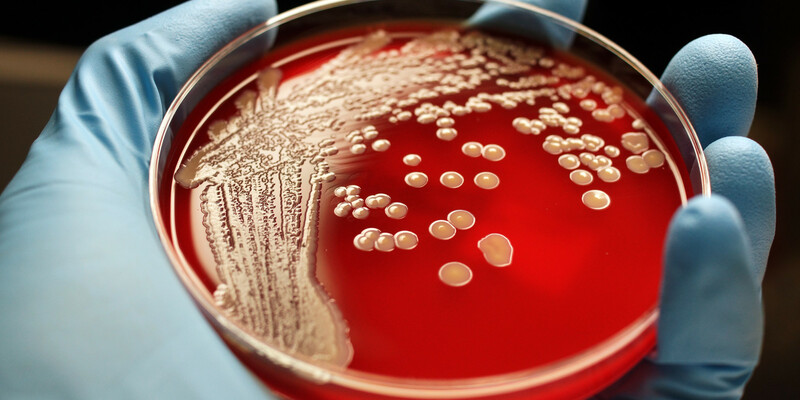 In both the U.S. and Europe, the spread of MRSA is a major threat to people in hospitals and other health care facilities. When people contract the bacteria in a hospital setting, the infection can be life-threatening and cause pneumonia and infections in the bloodstream and in surgical wounds. Staphylococcus aureus is a bacterium commonly found on the skin and nose, which is how it spreads into hospitals and other medical facilities. The potential new antibiotics are unlike contemporary antibiotics because they contain iridium, a silvery-white transition metal. New transition metal complexes do not easily breakdown, which is important for delivery of antibiotics to where they are needed to fight infections in the body. Even though these compounds contain iridium, further testing by the researchers shows that they are nontoxic to animals and animal cells. The researchers showed that the antibiotics effectively kill the bacteria without inhibiting mammalian cells. The team is currently testing the compounds in human cell lines and, so far, the cells have remained normal and healthy. "We are still at the beginning of developing and testing these antibiotics but, so far, our preliminary results show a new group of antibiotics that are effective and safe," the researchers said. "Within the next few years, we hope to identify various characteristics of these antibiotics, such as their stability, their distribution and concentration in animal tissue, their penetration into white blood cells, and their metabolism in animals." Based on material originally posted by Virginia Tech.